But as stated above, the adjustments that can allow me to change trajectories up to 35 yards from right-to-left or left-to-right at will? I don't know. I honestly don't believe that I'm consistent enough for that. Heck, my shots always veer 35 yards to the right or left, and I don't have to adjust anything! It does have the inverted cone technology like the Burner, and it does have lower CG like the other as well. Other than the adjustable portion, this driver is also equipped with the Matrix OZIK XCON 5.5 MOI graphite shaft, which is one of the best shafts to reduce clubhead twisting and off-center hits. It's also a very nice looking club and not quite as monstrous as some of the larger CC clubs out there. But I still don't think it would work for my game. 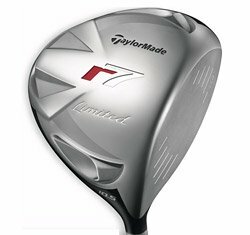 I'd rather have a club that didn't adjust, and have a pro help me with a swing that doesn't adjust so I can work on consistency with the game that only adjusts my score -- to go lower.